Have a look at DB sport and scale's website the rigging section. Have you thought about cutting the fuselage just aft of the cockpit? I've seen a couple of threads describing it and one model in the flesh where people have made the rear fuselage and tail detachable in order to transport the model with the wings rigged. Would that be feasible for you? Slightly off topic – I'm still enjoying your S.E.5. Peter. Just to let you know that it's safe and well. Have you had any progress with this project?? I`ve had a part started F2b in my loft for a year or more and wondered on the very same idea. There are examples out there that have been done, and I think this is the way to go. There are various wing tubes available from SLEC UK. I`ve seen a model fitted with the DB setup as mentioned (not an F2b) just a single wing and does look very good indeed, this would I think be my choice if everything required is still available. So how about an update?? I have been busy ,i sawed the wings top and bottom into three seperate pieces,the centre sections are then attached to the normal mounting points. I then made brown paper tubes formed around aluminium rods and glued them into all the wing sections .The rods are passed through the centre section then the wings are attached to them,hope this makes sense ,will post some pics shortly,cheers . Glad to see you progressed with the idea, was you able to keep the dihedral has per plan, with straight rods?. 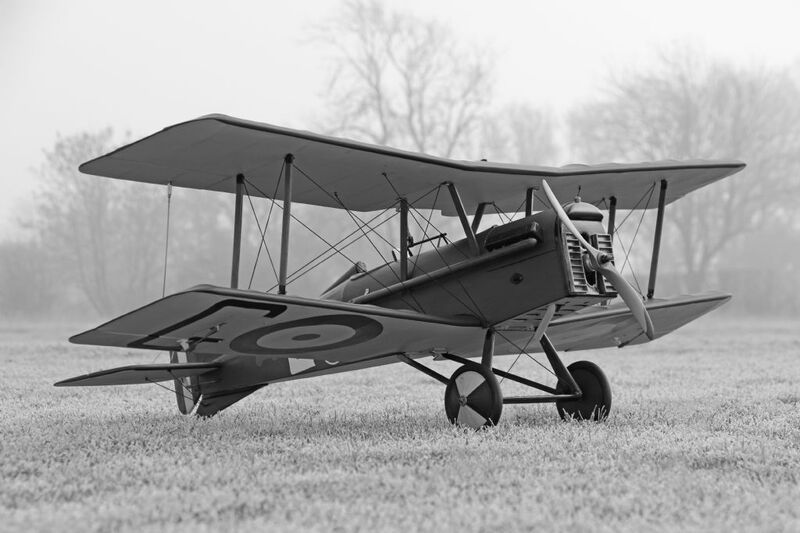 Are the wings in a biplane configuration? Slide two wings on at a time, have you flown it since conversion? I quess you still need rigging wires to hold the wings on. Be good to see your photos when your`re able. Managed to keep dihedral, though rods arn't as far into wings as wanted ,amount of dihedral restricting how far they would go.Will be easier to attatch wings separately keeping struts bolted to top wing permanently.Still needs resheeting around centre section and new covering all round.Cheers. Good stuff, sounds really interesting, keep at it. Shirring elastic makes good rigging wires.